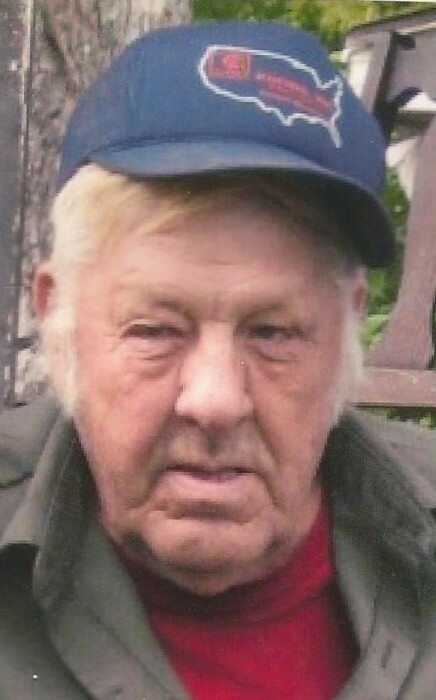 Ivan W. Detrick “Chainsaw”, Fairchance, Pa.
Ivan W. Detrick “Chainsaw” 83 of Fairchance, Pa. died on Tuesday, August 14, 2018. He was born February 14, 1935 in Wharton Township, Pa. the son of Taylor Detrick and Ada Thomas Detrick. His parents; wife, Ruth Ann Swaney Detrick; son, Gary Detrick; daughter-in-law who was like a daughter, Nancy Sutton Detrick and several brothers and sisters preceded him in death. Surviving are his children, Tim “Hoss” Detrick and Donna Guthrie, and Brenda and Fuzz Howell; daughter-in-law, Gail Detrick; grandchildren Justin Detrick, Patti Mirandy, Jason Detrick, Angela Barbabella, Maranda Detrick, Timmy Detrick, Tommy Detrick, Ronnie Vance, Samantha Detrick and Dylan Detrick; great-grandchildren, Jay-Jay Barbabella, Kylie Barbabella, Sadie Barbabella, Mickey Barbabella, Kolbee Brown, Tommy Detrick, Josh Detrick, Kate Detrick, Jacob Salsberry, Samantha Rittenhouse, Maelee Detrik, Rayah Mirandy, Bobbie Jo McGee, Billie Jo Sutton and Veronica Sutton; sister, Gene Ohler; brothers, John and Rita Detrick and Ed Detrick; many nieces and nephews and devoted companion, Helen Small. The family will greet friends and family in the Dean C. Whitmarsh Funeral Home, 134 West Church Street, Fairchance, Pa. on Saturday, August 18, 2018 from 2 to 4 and 6 to 8 p.m. The funeral service will begin at 8:00 p.m. with Pastor Sandy DeWitt officiating.